Youth Baseball, Softball, Basketball, Football & Cheerleading! For over 50 years, the Kings Park Youth Athletic Association, Inc. (KPY) has been providing athletic opportunities for all youths (boys and girls) in our community. Our programs offer a safe and fun environment for kids to learn and develop athletic skills, teamwork, and sportsmanship. For those children that look for a greater challenge, we also support several “travel” sports programs. In addition to teamwork and sportsmanship, KPY also looks to promote leadership and community involvement. We strive to develop not only great athletes at the youth level, but also great young citizens. KPY is a non-profit organization—with all board members, managers, and coaches being volunteers. Funding received from player registrations, sponsorships, and other fundraising efforts are put back into KPY to further support the development of our programs. Additionally, at the discretion of its Board of Directors, KPY offers charitable donations to our schools, town, and through scholarships to our participants. We urge you to become involved and be part of KPY. Help make a positive difference in the lives of Kings Park youth–Kings Park Pride! Here at Nokado Jiu Jitsu Centers we are focused and determined to serve our students with the highest quality instruction, professionalism, and service in the industry. To achieve our goal we have implemented programs that cater to the individual interests of our community. 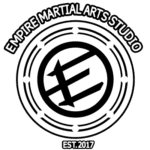 Our Students range from all ages with interest varying from stress relieving, health promoting exercises to intense, traditional training that the Martial Arts are so famous for. All aspects of our center are arranged to build a balanced relationship of trust and respect with our students. We offer discipline and character building in a friendly and relaxed atmosphere that anyone can feel comfortable in. So if you are ready to feel great, become disciplined, focused, confident, and alive then come in and see us. Our doors are open. We are a martial arts studio specializing in the instruction of children ages 3-18. We are dedicated to offering the most personalized instruction on the market. Our studio also caters to children with special needs by offering 1-on-1 Martial Arts Lessons to children that require more individual attention. This recently renovated club truly has it all! For the avid tennis player, Kings Park has 3 indoor Deco turf courts and 8 Har-Tru clay courts, four of which are housed in a “bubble” during the indoor season. The facility also features a multi-sport court, a full fitness center, group exercise studio, an outdoor swimming pool, playground, lounge, tennis pro shop, a child-care room and full locker room facilities. Specialized camp facilities also include a 9 hole miniature golf course, gaga pit and outdoor arts and crafts center. The McGuigan family has owned and operated Superior Ice Rink since 1972. During this time, we have proudly provided the local community, with their recreational ice skating and ice hockey activities in a true family atmosphere. We would like to thank all of our past, present and future customers for their ongoing support and patronage, as well as for helping us realize our goal of supplying a safe, fun and enjoyable experience for their families. Superior Ice Rink is operated all-year round for public ice skating, figure skating, learnt to skate programs, youth ice hockey and adult ice hockey. During the summertime we also offer summer hockey camps for all levels of youth hockey players. All of our programs are staffed by professionals with many years of experience in their field. The greatest enjoyment of the ice rink business is seeing the smiling faces of the family members of all ages. Our most rewarding compliment has come from people who have come through our programs as youngsters and young adults, only to return years later with the feeling of being “back home”.